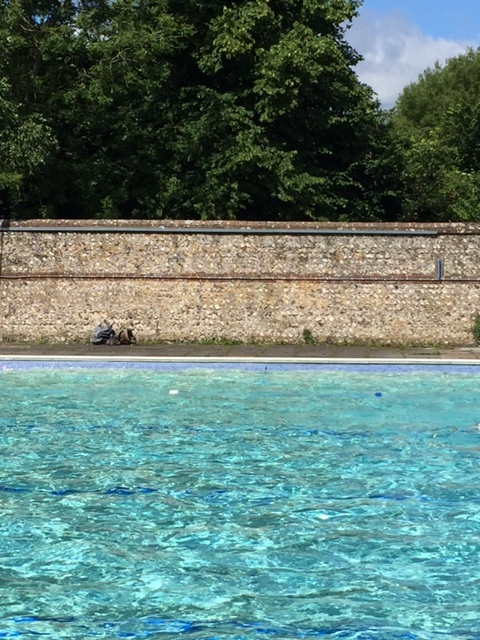 Swimming to Pells Pool in Lewes. So I set myself a challenge back in January to swim the distance from our home in London to Pells Pool in Lewes. Did I crack it? In a word, no. But it matters not a jot. By the first weekend in July I’d covered 38km. I overestimated my determination to swim 3+ times a week around work and the Super Swimmer’s training schedule, my desire to get up / swim late and to dominate weekends with my challenge. I’d planned to go to Penzance and swim in the Jubilee Lido the first weekend of July. The kids were due to go on their Annual Dads’ Camping Trip. I booked a Cornish B&B and bought my tickets on the sleeper train. Plans changed, the Dads’ camping trip went ahead with the Footballer and his Dad, then the Super Swimmer was invited to race at Crystal Palace. 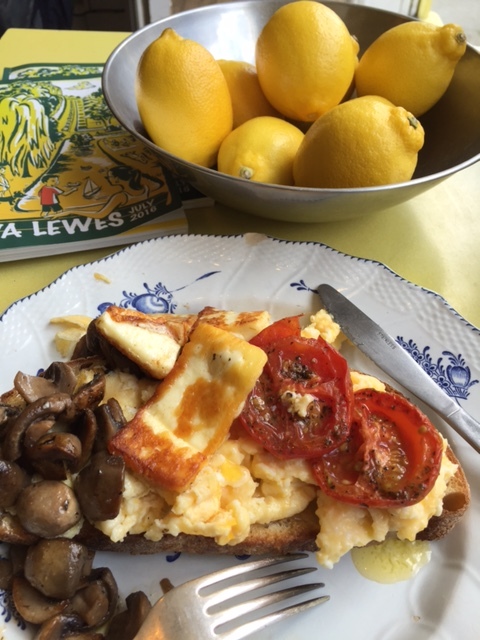 When she told me – for the first time – that I wasn’t needed poolside – I leapt at the chance to go to Lewes instead. 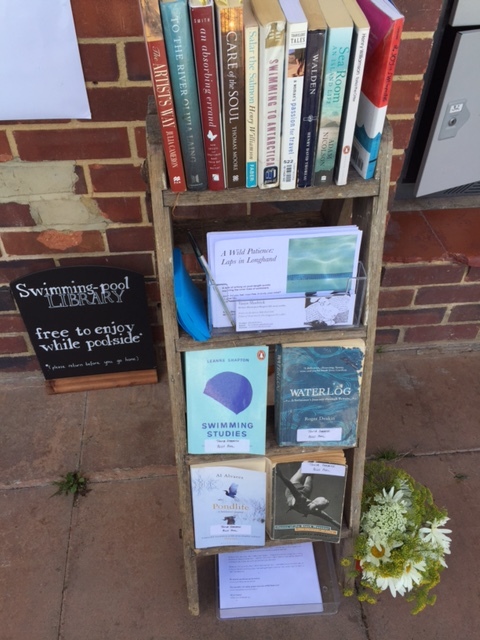 Dropping her off in Islington at 7am I got to Lewes for 9am on the train, walked around peering in the windows of second hand bookshops, boutiques and cafes, and wandered around til I found Pells. Why Pells? Partly as it’s so accessible from London (Southern Trains willing…) but mainly due to its enthusiastic twitter account, where alluring pics of the water, the space and the sky are posted on a daily basis. I’ve been almost counting down with Lewes til it opened for the season, watching as the pool was cleaned and prepared for the summer. 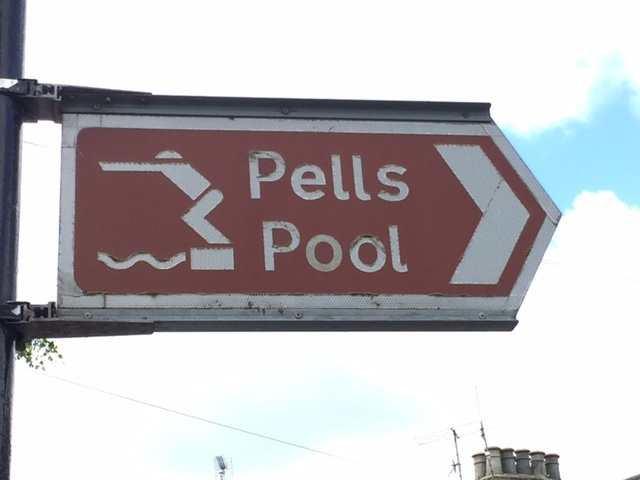 I was so excited to get to Pells. I entered through the walkway to be greeted by a cheery hello from the manager, stood there saying ‘wow’ in my head, gazing at the sharp blue water, the enormous trees to the side, and the utter tranquillity of the scene. Then a lady came over and asked what my name was, was I Clare? She’s the pool’s writer in residence @LidoWriters, and had seen my early morning excited tweet from the train. I couldn’t believe she’d seen my message, or thought to introduce herself. Oh the joys of sharing a love of swimming outdoors on twitter. Imagine travelling 2 hours from home and someone greeting you by name and welcoming you to their pool! All types of swimmers were in the water; a couple of wet suit-clad sharks, a head-up breast-stroking lady, some kids throwing a toy – everyone absolutely set on enjoying themselves. 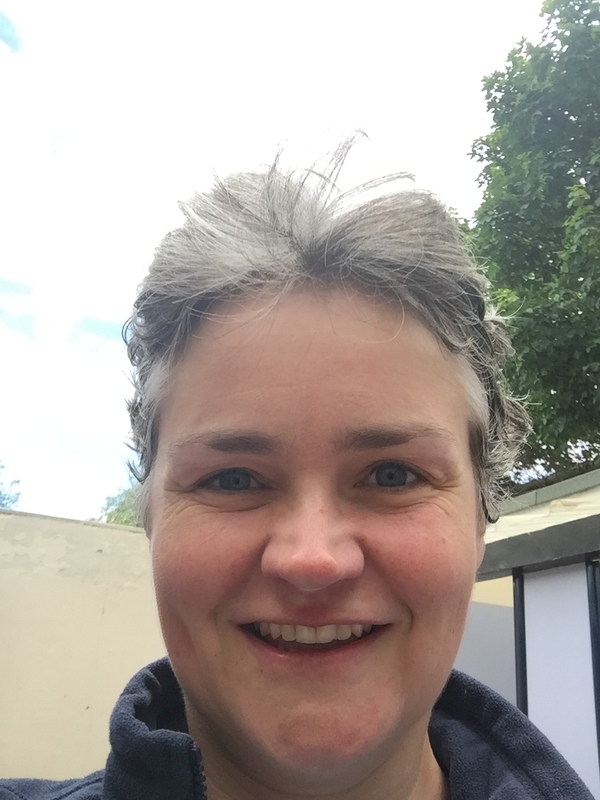 I asked a fellow swimmer how long the pool was, she wasn’t sure, ‘I’m just here for enjoyment, not swimming like you.’ Ah, but how wrong she was, I was there for the same reason as her, to soak up the welcome, to become part of the ‘I’ve swum at Pells gang’. I’d never envisaged the trip to Pells would have been such an emotional experience, or one that I’d long to repeat again, and again. Thank you Pells, thank you to Tanya Shadrick and thank you to the person behind @PellsPool. < Previous Get Inspired? You bet. Running and swimming as Rio 2016 gets underway. Next > So how was the 5.25am start for you? Feeding the 12 year old swimmer. I found your lovely post today Clare, months after season’s end, while searching on Google for something else. 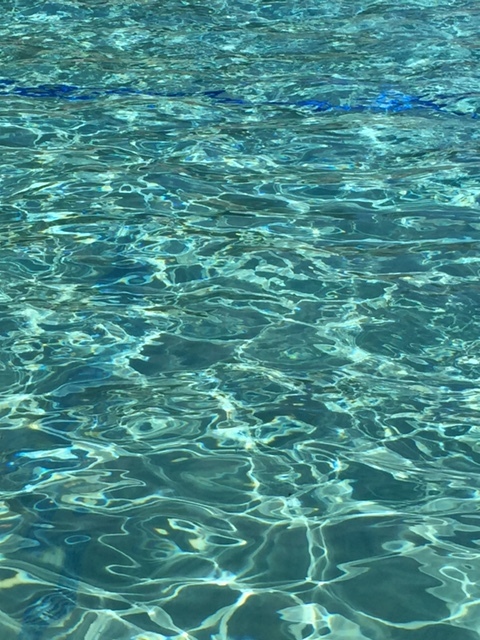 What a lovely description of the pool through the eyes of a first-time visitor (although even long daily hours poolside all summer for the residency hasn’t dimmed my love of it). Remember our meeting as if yesterday. Will make a visit to your home pool a priority next year. Thank you for your kind words. Thank you Tanya. My preparation and anticipation for the trip had started back in the winter when I had no idea that the pool would have a writer in residence, or a bookshelf to browse. My curiosity was piqued by the twitter account, til I discovered it I didn’t know of the pool. I’m so glad I didn’t wait til I had actually swum the whole distance to Pells and that I just got on and got on a train down and met you and the wonderful world of Pells. That day in early July was simply one of my most favourites.